TITLE: CEOCOMPANY: BentleyBASED: Crewe, EnglandAGE: 57NATIONALITY: GermanCAREER HIGHLIGHTS: Duerheimer began his second term as Bentley CEO in June 2014 after having run the Volkswagen Group ultraluxury brand from 2011 to 2012. 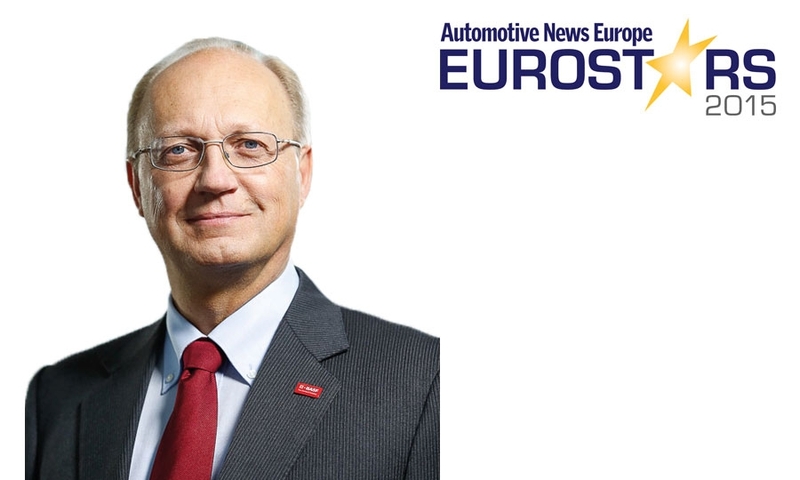 During his 29-year automotive career he has held board-level development posts at Audi and Porsche. He spent his first 12 years in the industry at BMW.REASON FOR WINNING: Led Bentley to a record sales year in 2014 by boosting global deliveries 9 percent to 11,020 vehicles. Has maintained a strong buzz around the brand by announcing that Bentley will be the first ultraluxury automaker to offer an SUV, the Bentayga,and that it may add a two-seat coupe to challenge Aston Martin. Bentley's planned expansion is part of Duerheimer's aim to increase annual sales to 20,000 vehicles by 2020. 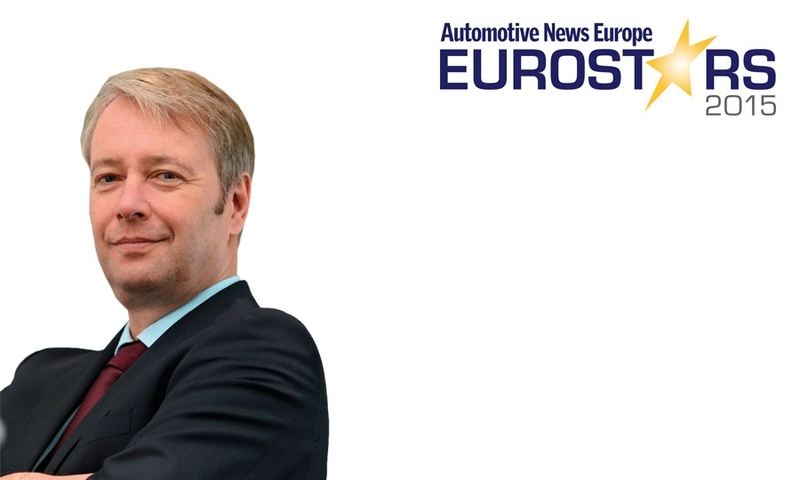 TITLE: Chief Executive Engineer Electrics/ElectronicsCOMPANY: AudiBASED: Ingolstadt, GermanyAGE: 47NATIONALITY: GermanCAREER HIGHLIGHTS: Hudi has held his current position since 2009. He joined Audi from BMW in 1997 to work on the electronics system for the A8 flagship.Three years later he became the automaker's head of development for infotainment, where he played a key role in the development of Audi's Multi Media Interface (MMI) system.REASON FOR WINNING: One of the main reasons why the Audi TT was named the best networked car in Germany by enthusiast magazine auto motor und sport was the work that Hudi and his team have been doing. The TT's virtual cockpit combines the instrument cluster and the MMI screen into one central digital unit. More than 70 percent of the magazine's readers also picked Audi as the carmaker that offers "the most innovative connectivity technology overall." TITLE: President, Performance Materials DivisionCOMPANY: BASFBASED: Waterloo, BelgiumAGE: 57NATIONALITY: GermanCAREER HIGHLIGHTS: Jahn has been the head of BASF's Performance Materials division since 2013 and chairman of the Global Automotive Steering Committee at the world's largest chemicals maker since 2001. Jahn joined BASF's Latin America division in 1985. He has held multiple leading positions at the company's plastics and coatings divisions in Germany, Belgium, Mexico and the U.S.REASON FOR WINNING: Jahn has played a key role in BASF's rise to No. 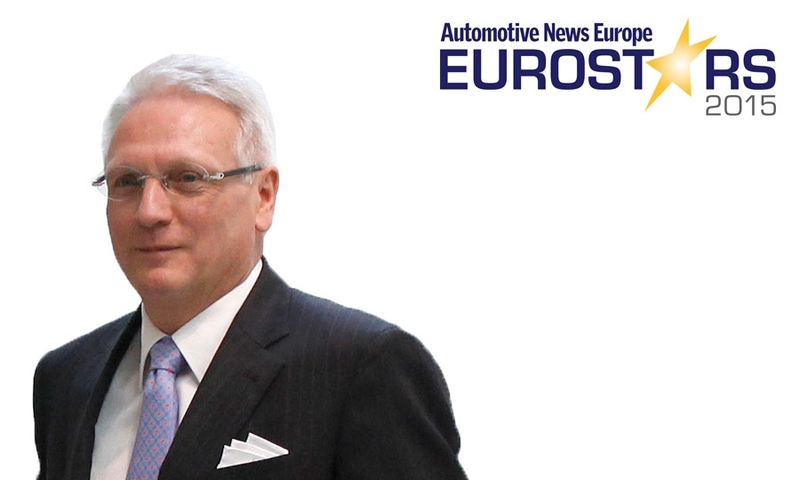 16 in Automotive News Europe's global ranking of the world's top 100 suppliers to the automotive industry last year from No. 53 in 2008. Last year the company, which specializes in coatings, plastics and catalysts for automakers, had global sales to automakers of nearly $13 billion, according to Automotive News Europe data. TITLE: Managing Director Dingolfing plantCOMPANY: BMWBASED: Dingolfing, GermanyAGE: 61NATIONALITY: GermanCAREER HIGHLIGHTS: Kerscher has been in charge at Dingolfing since November 2013. He ran BMW's Munich factory until transferring in 2007 to Spartanburg, South Carolina, to lead the carmaker's U.S. plant, where he oversaw a near-threefold increase in output to more than 300,000 vehicles.REASON FOR WINNING: Under Kerscher's leadership, Dingolfing was named J.D. Power's top-ranking plant in Europe for assembly quality in June. Dingolfing is BMW's largest global factory based on production volume and also its most complex. In addition to the 3-series GT and 4-series Gran Coupe, the plant builds key upper-end models such as the 5 series, 6 series as well as the new-generation 7-series flagshipsedan. Last year, output at the plant rose nearly 8 percent to a new record of nearly 370,000. TITLE: Former Ferrari and Fiat Group ChairmanBASED: Bologna and Rome, ItalyAGE: 68NATIONALITY: ItalianCAREER HIGHLIGHTS: Spent 34 years at Fiat or its subsidiaries including 23 as chairman of Ferrari (1991-2014) and six years as Fiat Group chairman(2004-2010). He resigned from Ferrari in October 2014 and a month later was appointed chairman of Italy's Alitalia airline. He also has led liquor maker Cinzano and headed the group that organized Italy's hosting of the 1990 World Cup soccer championship.REASON FOR WINNING: Ferrari would not be a powerhouse brand on the verge of a much-anticipated multibillion dollar initial public offering without the contributions made by Montezemolo. He made Ferrari a massive success on the racetrack, winning 17 Formula One titles, and in the showroom by expanding the supercar maker's model portfolio, doubling its global unit sales while consistently ranking as one of the auto industry's most profitable companies. 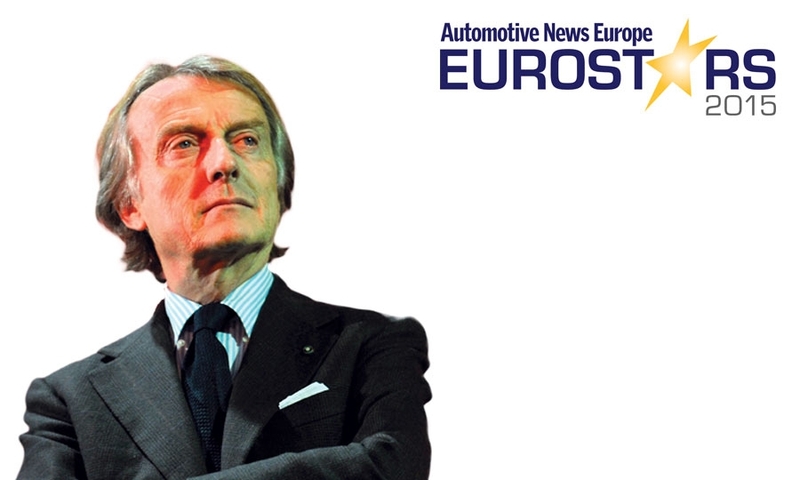 Montezemolo also played a key role in transforming Fiat, which was nearly bankrupt in 2004, into Fiat Chrysler Automobiles, which now ranks as the world's seventh-largest automaker. 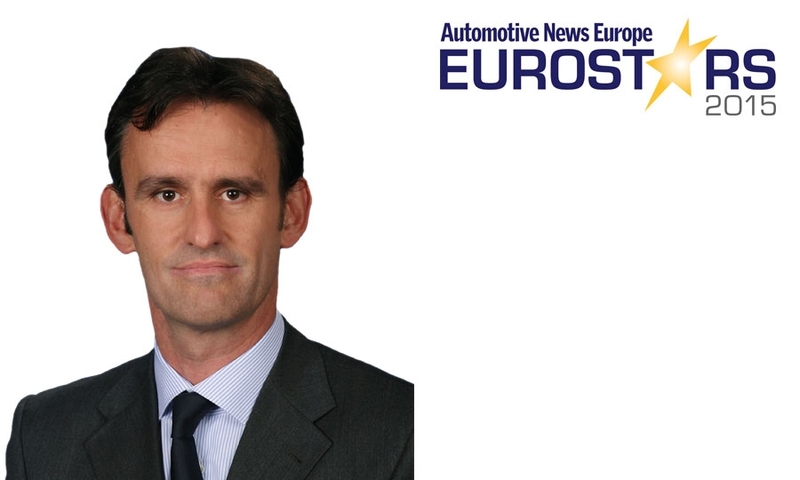 TITLE: CEOCOMPANY: PSA/Peugeot-CitroenBASED: ParisAGE: 57NATIONALITY: PortugueseCAREER HIGHLIGHTS: Started as PSA CEO on March 31, 2014. Prior to that he spent 32 years at Renault and Nissan, rising to Renault chief operating officer in 2011. He stepped down as COO in August 2013 soon after saying in an interview that he wanted to become CEO at an automaker.REASON FOR WINNING: The hobby racecar driver likes to move fast. 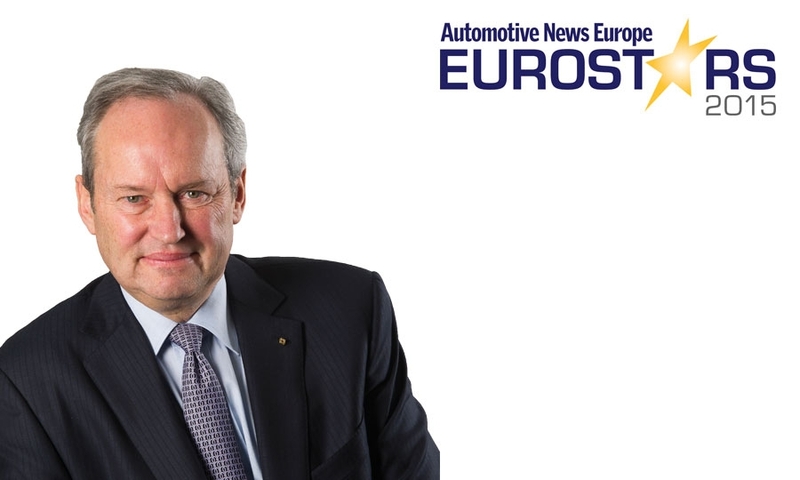 He needed less than a year as CEO to guide PSA's auto division to its first operating profit in five years, during which time the company lost a combined 7 billion euros. 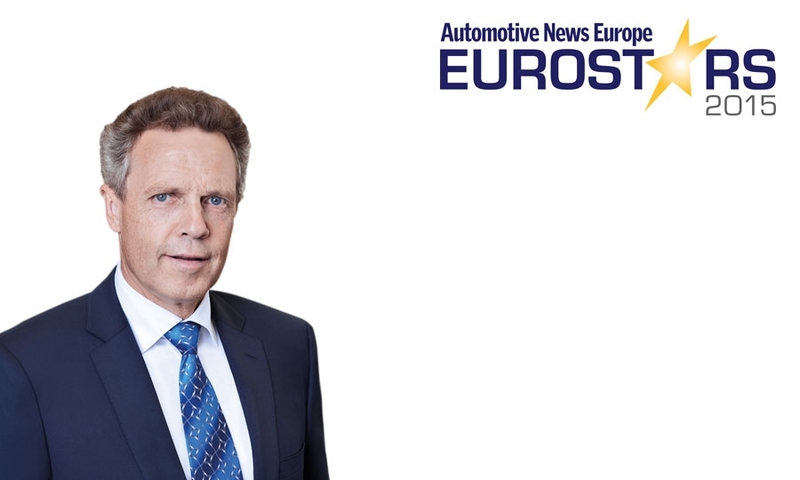 The momentum carried into 2015 as PSA's auto unit made a 975 million euro operating profit in the first half, resulting in an operating margin of 5 percent, well ahead of Tavares' goal of delivering "at least" a 2 percent margin by 2018. TITLE: Jaguar XE Vehicle Line DirectorCOMPANY: Jaguar Land RoverBASED: Gaydon, EnglandAGE: 46NATIONALITY: BritishCAREER HIGHLIGHTS: Stride has been vehicle line director for the Jaguar XE and F-Pace, the automaker's first crossover, since 2010. In 2009 he was chief program engineer for the XF, leading the development of the BMW 5-series rival, as well as its high-performance variant, the XFR. Stride joined Jaguar Land Rover in 1991 after gaining a degree in mechanical engineering from Brunel University in the UK.REASON FOR WINNING: To compete against BMW, Audi and Mercedes- Benz, Jaguar knew it needed a top-notch midsize car. Stride delivered that with the XE. Auto journalists taking part in a test drive of the XE in Spain earlier this year praised the sedan's driving dynamics. Car buyers are also impressed. After only a few months of sales the XE already ranks as one of Europe's top-10 sellers in the midsize premium segment. TITLE: Executive Vice President, Chief Performance OfficerCOMPANY: RenaultBASED: ParisAGE: 61NATIONALITY: FrenchCAREER HIGHLIGHTS: Began his Renault career at the company's former R.V.I. heavy truck division in 1980 before moving to finance, automation and purchasing. 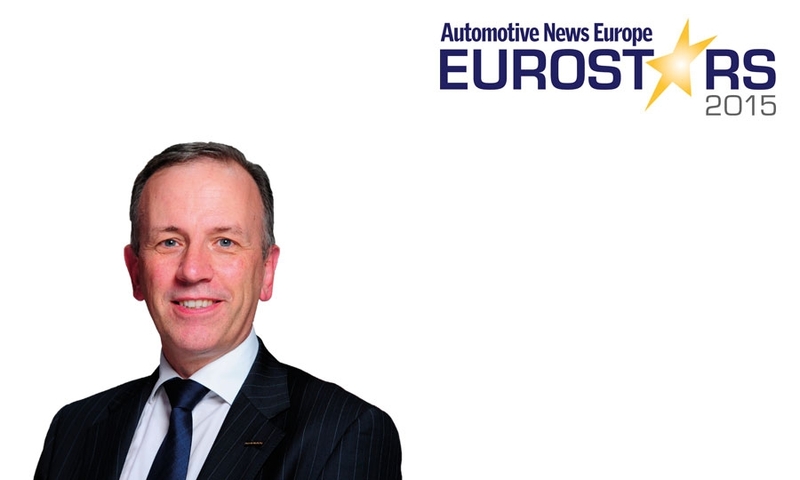 He has been the automaker's chief performance officer since September 2013, adding that title to his role as Renault executive vice president for sales and marketing, a position he has held since 2009.REASON FOR WINNING: Under Stoll, Renault's first-half European sales rose 10.4 percent, which beat the 8.2 percent increase for the overall market. That gain has Stoll on track to reach a tough goal set by his boss, Carlos Ghosn, which is for Renault to become Europe's No. 2 selling brand, up from No. 3 now. In the first half, Renault closed the gap on the current No. 2, Ford, to 21,000 units from 36,000 in the same period last year. TITLE: CEOCOMPANY: ZF FriedrichshafenBASED: Friedrichshafen, GermanyAGE: 52NATIONALITY: GermanCAREER HIGHLIGHTS: Promoted to ZF chief executive in mid-2012. He has been a member of the supplier's management board since 2008, starting as the head of the ZF Sachs suspension division. He joined ZF after 11 years in high-level positions at rival supplier Continental.REASON FOR WINNING: Sommer has been the driving force behind the biggest supplier acquisition in the post-Great Recession era. In May, ZF completed its $12.4 billion purchase of TRW Automotive, which immediately made the transmission and chassis specialist a global leader in cameras, radar and controllers -- all of which will be crucial to bringing driverless cars to market. The acquisition makes ZF the world's second-largest supplier after Robert Bosch. TITLE: Chief Financial OfficerCOMPANY: Fiat Chrysler AutomobilesBASED: LondonAGE: 48NATIONALITY: BritishCAREER HIGHLIGHTS: Started as Fiat chief financial officer in 2006, added responsibility for Chrysler's finances in 2009 and was named Fiat Chrysler CFO in 2011. He joined Fiat Group in 2003 as CFO of subsidiary Comau Robotics. Prior to that he worked for General Electric, United Technologies and PwC.REASON FOR WINNING: Palmer helped to successfully complete the merger of Fiat and Chrysler and reduce the company's net debt to $7.7 billion from $11.4 billion last year. FCA's debt reduction came via the issuance of a $2.9 billion mandatory convertible bond and a share sale. Palmer also has prepared the market for FCA's planned IPO of a 10 percent stake in Ferrari. The IPO is set to happen by year-end. TITLE: CEOCOMPANY: SkodaBASED: Mlada Boleslav, Czech RepublicAGE: 58NATIONALITY: GermanCAREER HIGHLIGHTS: After several years working for Volkswagen in Brazil, Vahland joined Skoda in 2002 as finance chief. Three years later he was picked to lead Volkswagen's operations in China, where he introduced the Olympia restructuring program that put the carmaker back on course in its most important growth market. He returned to Skoda as CEO in September 2010.REASON FOR WINNING: Vahland has transformed Skoda into a volume and profit driver for the Volkswagen Group, upstaging even the VW brand with its success. Last year Skoda topped 1 million vehicle sales for the first time, while revenue increased 14 percent and operating profit rose by 57 percent to 817 million euros. The brand is set to impress further with the widely acclaimed third-generation Superb sedan that launched in June and the forthcoming Superb wagon. TITLE: Vice President of DesignCOMPANY: DaimlerBASED: StuttgartAGE: 47NATIONALITY: GermanCAREER HIGHLIGHTS: Appointed in 2008 to his current post, where he oversees design for all Mercedes-Benz vehicles and Daimler heavy trucks. He worked as an exterior designer at Volkswagen, Mazda and General Motors before joining Mercedes in 1997. His first project at Mercedes was the 2000 Vision SLR concept, which morphed into the SLR McLaren low-volume supercar.REASON FOR WINNING: Wagener and his design team have delivered an impressive series of head-turning, hot-selling vehicles from the sleek all-new CLA compact sedan and GLA compact SUV to the stylish, latest-generation S class, which during its first full year of availability accounted for more than 100,000 sales, a record total for an upper-premium flagship. Wagener's designs are a big reason why Mercedes may pass Audi this year as the world's second-largest premium automaker. TITLE: Board Member Research & Mercedes-Benz Cars DevelopmentCOMPANY: DaimlerBASED: StuttgartAGE: 61NATIONALITY: GermanCAREER HIGHLIGHTS: Weber joined Daimler's management board in January 2003 and has led group r&d since May 2004. 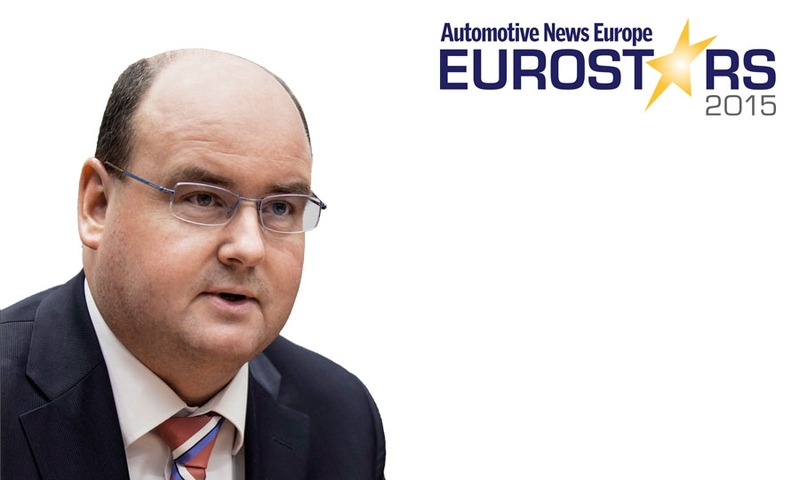 He joined Daimler-Benz in 1987 and after various posts in development and production, he was promoted to director of Mercedes' compact car plant in Rastatt, Germany, in 1999.REASON FOR WINNING: Mercedes is leading the German premium pack on autonomous driving. The automaker has been testing piloted vehicles on U.S. public roads since last September. In January at the Consumer Electronics Show in Las Vegas it premiered the futuristic F 015 concept, a lounge-on-wheels that provided an even longer-term look at the future for self-driving vehicles. Under Weber, Mercedes also has announced an ambitious rollout of 10 new plug-in hybrid versions of its popular models by 2017. 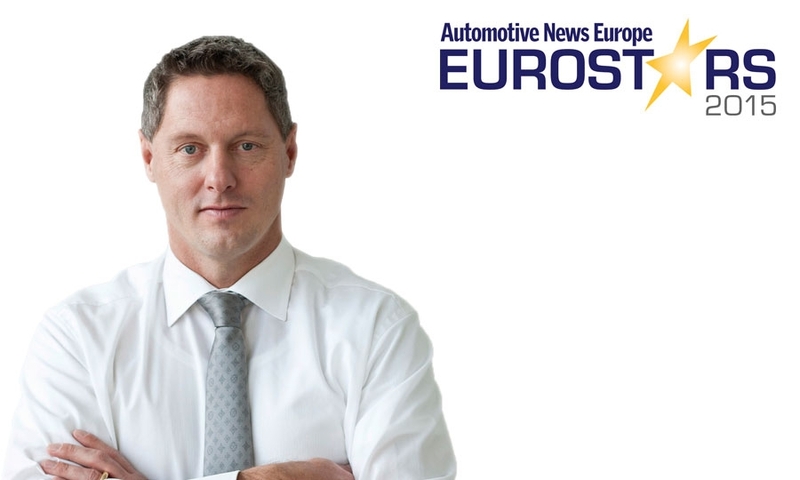 TITLE: ChairmanCOMPANY: Nissan EuropeBASED: Rolle, SwitzerlandAGE: 51NATIONALITY: BritishCAREER HIGHLIGHTS: Returned to Nissan in December 2013 to start his current role after a short stint as head of Volkswagen Group's UK operations. Willcox first joined Nissan in 1992 as part of its UK operations after four years with Peugeot.REASON FOR WINNING: Willcox has led Nissan to new highs in sales and market share in Europe. Nissan, along with value brand Datsun, increased 2014 sales 13 percent to 724,613 units and boosted its market share in Europe, including Russia, to 4.0 percent from 3.7 percent in 2013. The momentum has continued into this year as Nissan passed Toyota in the first half to become Europe's top-selling Asian brand. 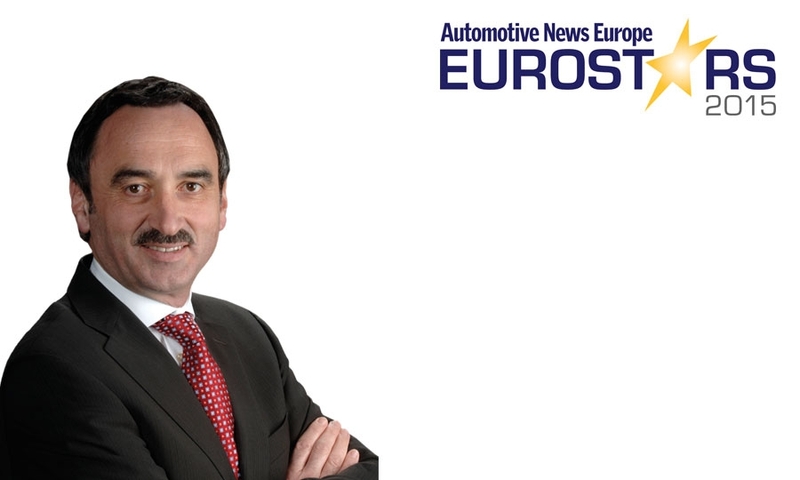 The executives chosen as 2015 Eurostars have risen above the competition by exceeding expectations. 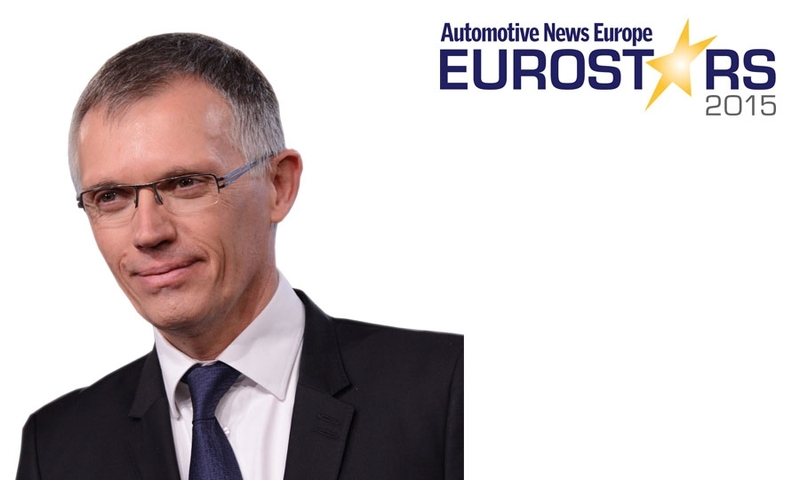 Carlos Tavares has revived PSA/Peugeot-Citroen. Skoda CEO Winfried Vahland has guided the Czech automaker to new sales and earnings records. 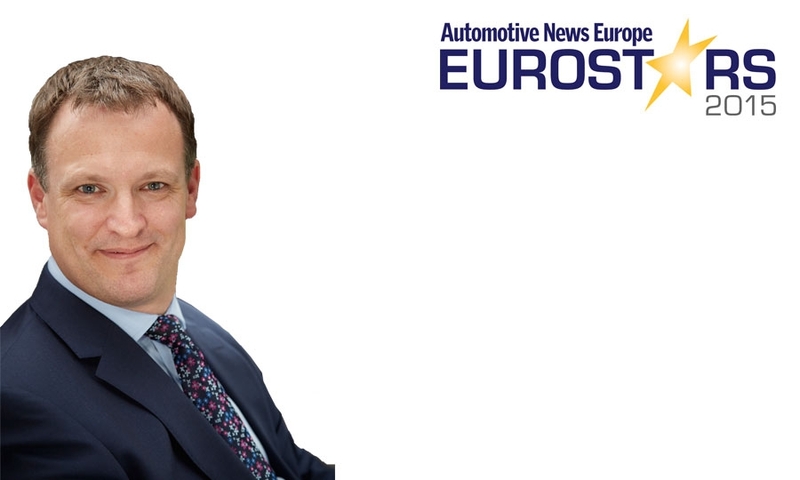 Nissan Europe Chairman Paul Willcox has put his automaker in position to pass Toyota as Europe's top-selling Asian brand. Those three executives and the other 11 Eurostars have achieved equally impressive results. 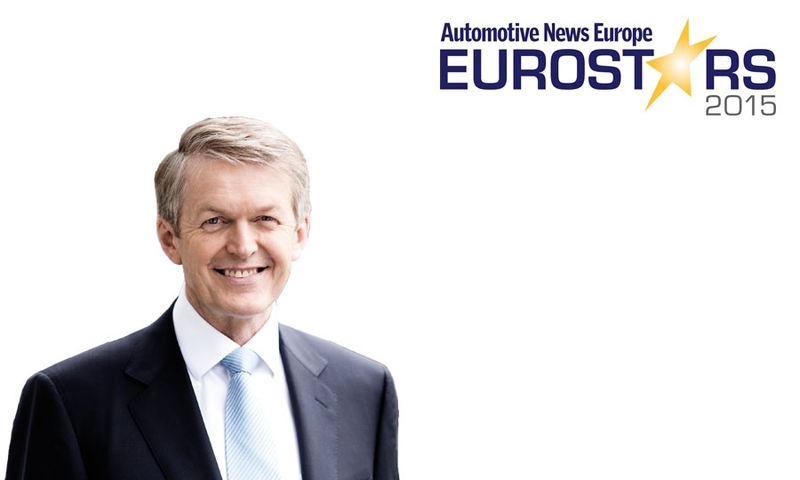 Automotive News Europe and PwC will honor the winners in Frankfurt.